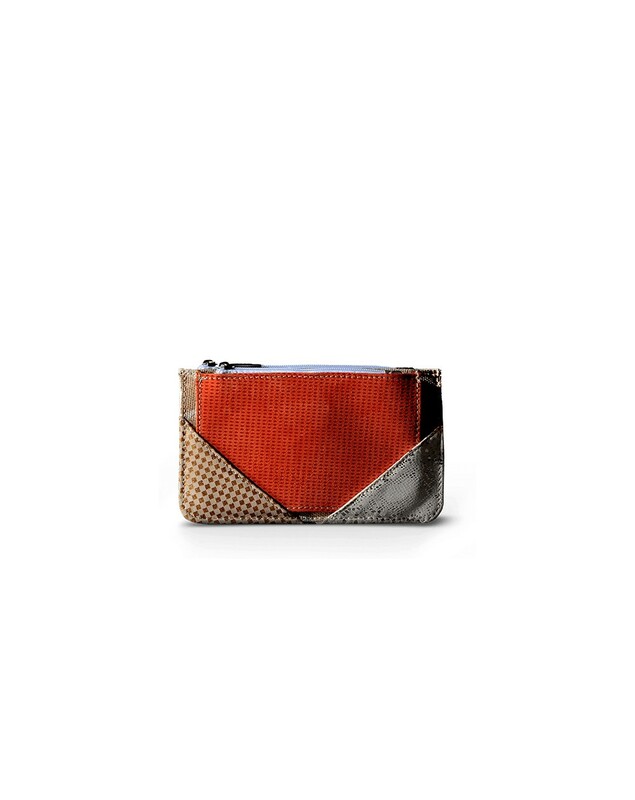 Made of luxurious patchwork leather, it is a functional accessory to keep in your pocket or in your bag that will add a chic touch to your essentials needs. What’s The news? You can choose how to fit your cards into its shape. Internally coated in leather. Comes with Anti-dust protective bag.